We manufacture a wide range of Ceramic wall hook that is offered at competitive prices. 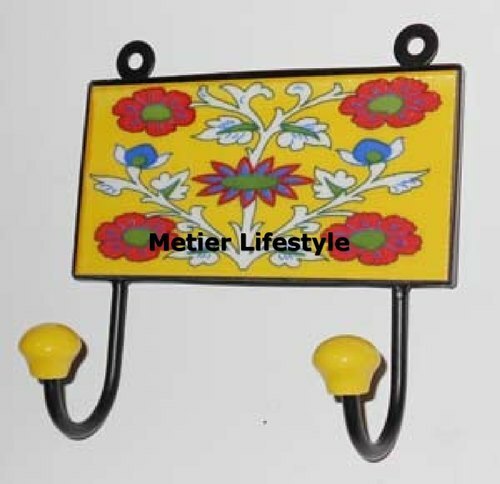 These ceramic wall hangers are much useful to hang towels, coats and other garments.These products are made by using quality material to ensure their durability and corrosion resistance. We offer them with different sizes and shapes which are easily fitted to walls. These are applicable in household, hotels, hospitals, offices etc. We are a manufacturer of smoking pipes and jewellery.We are​ New Delhi, India based manufacturer. We are one of the​ largest producer​ of smoking pipes, grinders, accessories & other handicrafts. Total wholesale order should be USD 2000.00 minimum along with MOQ as mentioned for each item in catalog. We'll dispatch your consignment within​ 7-10 days. "Manufacturer And Exporter of Largest Range of Smoking Products & Indian Handicrafts" Although Alibaba.com aims to provide you with accurate Sender Details, we are not able.